Howard Morland wrote a magazine article explaining how an "H-Bomb" - or "thermonuclear bomb" - is made, using only publicly available information. In the photo, he is standing on the steps of the US Supreme Court holding a cut-away model of the H-bomb. An H-bomb is a three-stage weapon: fission, fusion, and then fission again. The first stage, called the "trigger" (the black ball at the top), is a small plutonium bomb similar to the one dropped on Nagasaki in 1945. The energy release at this stage is mainly due to nuclear fission - because the atoms of plutonium are split. Tritium is often added to the centre of the plutonium core to "boost" the fission explosion with some additional fusion energy. Boosted or not, however, the only importance of this first-stage explosion is to irradiate and heat the material in the central column to 100 million degrees celsius so that a much more powerful fusion reaction can be started there. The second stage explosion is due to nuclear fusion in the central column. 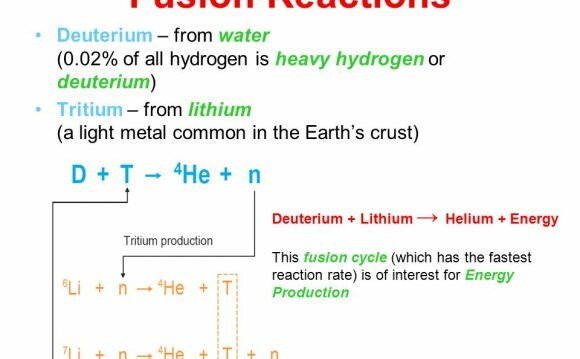 The main fusion reaction involves concentrated deuterium and tritium (both heavy isotopes of hydrogen) - which become spontaneously available when neutrons from the first stage explosion bombard a solid material called "lithium deuteride" located in the central column. When this hydrogen-rich mix is heated to 100 million degrees, the deuterium and tritium atoms "fuse" together, releasing enormous amounts of energy. This is the "H" or "thermonuclear" part of the bomb. Then comes the third stage. The fusion reaction gives off an incredible burst of extremely powerful neutrons - so powerful that they can split or "fission" atoms of uranium-238 (called "depleted uranium") - which is impossible at lower energy levels. This third stage more than doubles the power of the explosion, and produces most of the radioactive fallout from the weapon. Unlike fission bombs, which rely only on nuclear fission, and which can achieve explosions equivalent to thousands of tons of TNT ("kilotons"), the power of an H-bomb or thermonuclear weapon has no practical limit - it can be made as powerful as you want, by adding more deuterium/tritium to the second stage. Most H-bombs are measured in "megatons" (equivalent to the explosive power of MILLIONS of tons of TNT - hundreds of times, or even a thousand times more powerful than a fission bomb).